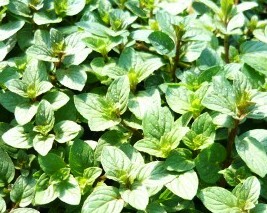 Chocolate Mint (mentha x piperita) Popular culinary and tea mint. Small dark green leaves have a strong peppermint patty like scent and flavor. Easy to grow perennial in zones 4-9. Live starter plant in 3 inch container. To me this tastes and looks similar to Todd Micham's Black Peppermint. It's quite strong as well, but TM is a little stronger. It has a nice chocolate mint scent (like chocolate chip mint ice cream), but no chocolate flavor that I can detect. This seems to be true of most mints, the variation is in the aroma and amount of spearmint or peppermint oil.